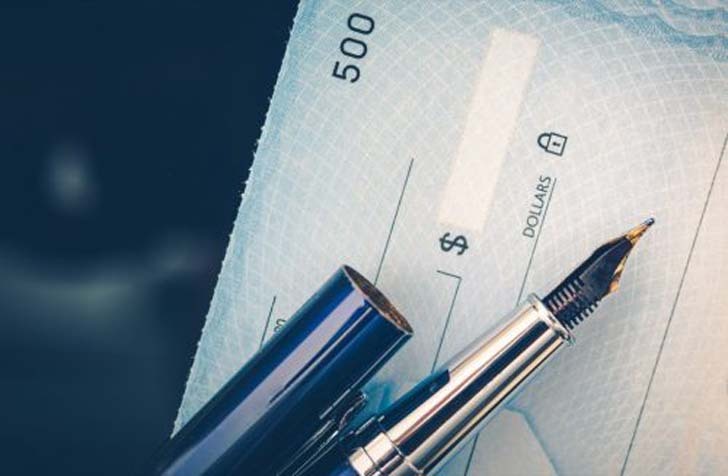 Knowing how to write a check is fast becoming a lost art in today's more technology-driven world. But here's how to do it right and with style. It’s a shame, really. As our increasingly high-tech methods of paying bills and making big purchases have gotten easier and easier—thank you, Venmo, PayPal, Square, Apple Pay, and other fintech apps—not only are we watching the ugly, slow death of cash in real time, but we’re also seeing the most elegant, graceful, and satisfying way of spending money go the way of the Dodo: writing a check. According to recent research by the company WePay, well more than half of all Millennials barely ever use checks. And countless younger Americans don’t even know how to write a check at all. [post_ads]Now, we know we can’t stop the inexorable march of time and technological progress—but we can certainly take a moment to bemoan it. After all, knowing how to write a check was never about simply spending money. It was symbolic. It was celebratory. It was stylish. Most of all, it was the act of creating a little six-inch by two-and-three-quarters-inch piece of art. Unlike inputting a few characters into an app and hitting send, writing a check all about your hand, your ink. Also, for a piece of legal tender, checks offer a remarkable amount of flexibility. Take, for instance, the area where you write your dollar amount in word form (more on that below). Want to include “00” cents, or maybe even nothing at all? Your choice! Want to fill the space entirely with your words, or simply slash a line across it to fill it out? Whatever! And your signature! Look at all of that beautiful real estate. The truth is, if you ask twenty different executives how to write a check, you’ll likely get twenty different style nuances. But checks aren’t dead yet. And for anyone who wants to know how to write a check properly—with style and panache—we’ve got you covered below. And once you’ve got it nailed, don’t miss all of the essential skills that men need to know. Every check needs to be dated. In the upper-right-hand corner of the check, you’ll write it legibly either in DD/MM/YY or Date, Month, Year format. We would encourage you to use the latter, and in readable cursive. Why? A couple of reasons. First, it’s much more literary to see “June 8, 2017″—as you’d encounter in a work of fiction, or on a dated love letter from a long-ago battlefield—than it is to see a lazy string of numbers. Secondly, writing out the month offers more room to personalize the check and make it yours. When you write “June,” what does your “J” look like? Whether you’re repaying your cyber-phobic Aunt Lisa back for the $75 you borrowed for beer money during senior year or paying rent to your octogenarian landlord who has certainly never downloaded an app, it’s important to note to whom this money will go. You can write “Cash” here if you’re unsure of the proper name (or name of the business) of the recipient, but just know that anyone can cash the check at this point, so hold on to it. There is only one real rule here: the name needs to be legible, so the recipient can deposit or cash it with proper identification. But we’d like to offer at least one gentleman’s rule: write the name big. Why? Well, trust us: the recipient will feel flattered to look down and see his or her written with size and dignity. Just to the right of the recipient line is a dollar sign. Yes, here’s the money shot. You don’t need to write another dollar sign here; the bank has done that for you. Simply write the exact amount of the check, using dollars and cents. If your rent is $750—and bless you if it is—write “750.00.” Do you actually need the “.00?” No! But add it if you want. However, if you’re only paying whole dollars and no cents, we think it adds a whiff of casual cool to leave it off. Then fill the remaining space with a line—a carefree slash, actually—running to the right, so that if the check is stolen before being cashed, that space cannot be easily altered. It you don’t know how to write a check, this should definitely be the easy part. Now, the piece de resistance, where you get to be a bit elegant and show off. How often do you get to sign your name? Back when we used checks for a good amount of our transactions, we signed our names all the time. Signing checks will both help you work on a nice, strong signature and make you feel like a boss. We suggest something ornate, big, loopy, and vaguely readable. Why? Well, your name is already written on the check in the upper left-hand corner, so the bank knows it’s your check. The signature area is all about style and flourish—and showing that you’ve got one badass signature. This is a bit archaic, and it made much more sense when we balanced our bank accounts based on our checkbook ledgers. The carbon paper underneath would help us remember what each check was for. Fill it in as a reminder to the recipient what the check is for. Some places, like the DMV, will require your driver’s license or ID number in this section to ensure they can track you down if it bounces. Whatever you do, don’t add any jokes here. 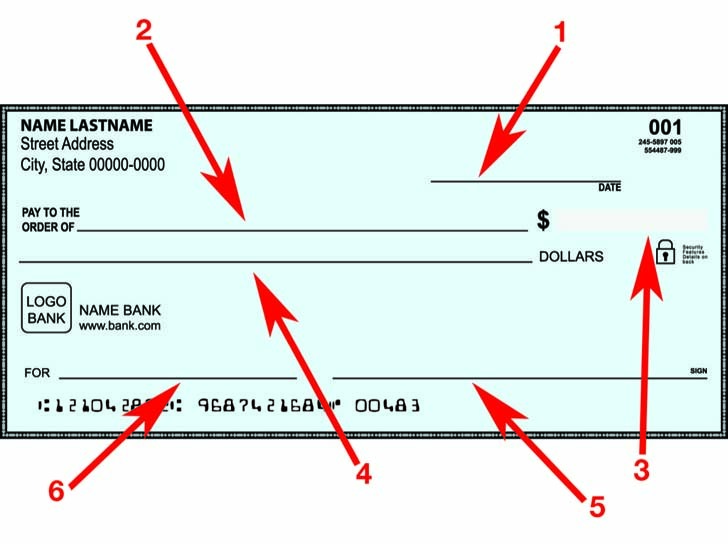 Remember: if you don’t know how to write a check, it’s a work of art, and not something to laugh at.